Your colleague at the office fills her gallon jug with fresh water every morning, forcing herself to finish it by day's end. Your gym buddy's been loading up on chicken and turkey to build muscle. And your sister is pleased that she's found cholesterol-free cookies, which she believes provide heart-healthy benefits. If you're thinking about adopting some of their "healthy" habits, think again. Read on to separate fact from fiction. Myth #1: Eating late at night will make you fat. Fact: Calories are calories, no matter what time they're eaten. There is no magic hour in which your body decides that incoming calories must be stored as fat. If you routinely overindulge after dinner, it's the overindulging that's sabotaging your weight-control efforts, not the hour on the clock. 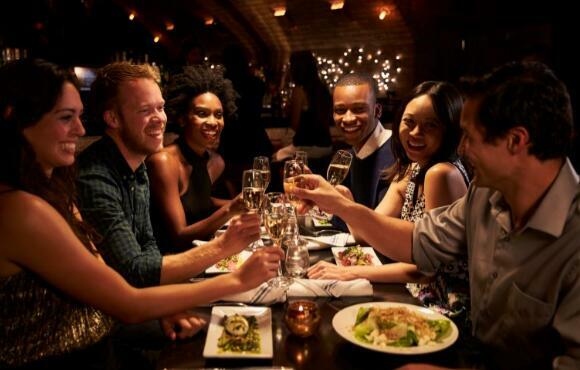 For some people, the "no calories after 8 p.m." rule is an effective diet strategy because it means they take in fewer calories and less saturated fat over the course of a day. But what if dinner is late or you're hungry before bed? By all means, eat. Feed and fuel your body. No harm is done if you're balancing your calories over the day and not scarfing down junk food. Finally, if you train in the evening, eating at night is not optional: You must to replace the nutrients you've just lost. Depending on the activity, you'll need water, electrolytes, carbohydrates and protein. Bottom Line: What you eat—and how much—is far more important than when you eat it. But do make a point to spread your food intake out over the day to sustain your energy. Myth #2: Eating extra protein automatically builds muscle. 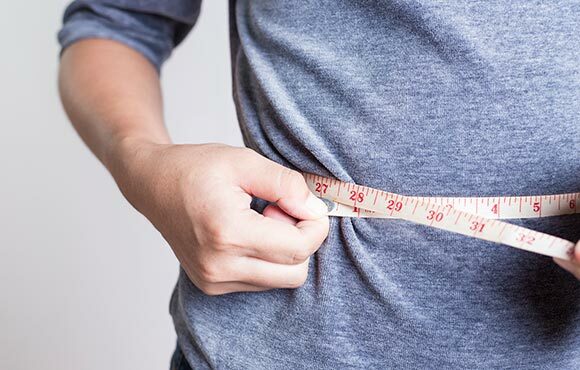 Fact: "To build muscle, you must have three key components: adequate calories, a good intake of protein and a good strength program," says registered dietitian and American Dietetic Association spokesperson Roberta Anding. Anding is also a certified specialist in sports dietetics. Without enough calories, "some of the dietary protein will be used as an energy source." Likewise, protein intake beyond your needs will either be stored as fat or burned for energy. The timing of your protein is important. "After resistance training, consuming a source of protein, such as whey, along with carbohydrates has been shown to build muscle," Anding adds. Bottom Line: To build muscle, you need to eat a healthy diet, which includes a normal amount of protein, and strength train regularly. Myth #3: Cholesterol-free foods are heart-healthy. 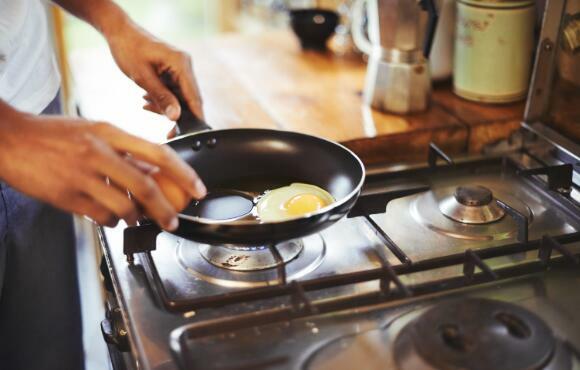 Fact: While it's a good idea to limit egg yolks, whole milk, liver and other high-cholesterol foods, it's just not that simple, says Dina Kimmel, a New Jersey-based registered dietitian and nutrition counselor. 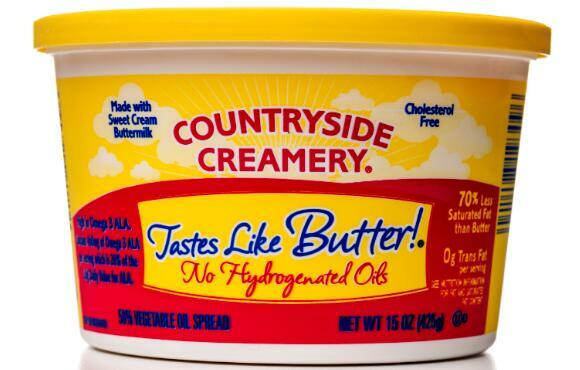 Even more detrimental to your blood-cholesterol levels are the amounts of saturated and trans fats you eat. There are plenty of supermarket shelves that contain no cholesterol, but are rife with artery-clogging saturated and trans fats. Scrutinize the nutrition facts panel carefully to see what's in your cholesterol-free margarine, shortening, cookies or crackers. Chances are good that they're loaded with either saturated or trans fats or both. The FDA allows a product to claim cholesterol-free on its label if there are no more than 2 milligrams cholesterol and 2 grams saturated fat per serving, but there's no limit on trans fat. And your portion may be bigger than the listed serving size, so your meal could be serving up a not-so-healthy dose of fats. Bottom Line: Load up on nature's heart-healthy foods—whole grains, fruits, vegetables, legumes, nuts and seeds—to avoid artery-cloggers. And read a product's nutrition panel carefully. 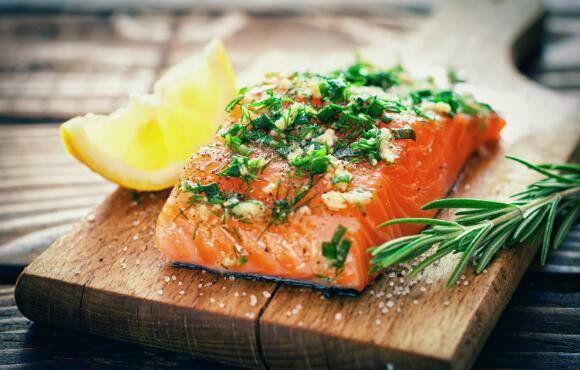 Myth #4: Eating fish is the best way to get heart-healthy omega-3 fats. Fact: The omega-3 family is credited with myriad health benefits, ranging from promoting brain development in infants to improving cognitive function in the elderly, but it is perhaps most recognized for its role in shielding the heart from disease. Fish and marine-based supplements are the only ways to get EPA and DHA, two important omega-3 fatty acids. However, walnuts, flaxseed, canola oil, soybeans and some other plant foods offer ALA, a third omega-3 fatty acid. You need all three types of omega-3 fats for optimal health. Plant-based omega-3 fatty acids offer distinct benefits you won't get from fish. Without ALA, you'd have scaly skin and problems with hair growth and wound healing. There is even evidence that diets rich in ALA decrease the risk of fatal ischemic heart disease (the result of narrowing or hardening of the arteries, which impedes blood flow). Fish or marine-based fatty acids, EPA and DHA, are recommended by many organizations, including the American Heart Association, to decrease the risk of cardiovascular disease because of their strong triglyceride-lowering effect, says Penny Kris-Etherton Ph.D., R.D., a professor of nutrition at Pennsylvania State University. In addition, it appears that the marine-based omega-3 fats are especially important in aiding cognition. "Based on the evidence we have at this point, I recommend that people include all omega-3 fatty acids in their diets," she says. Bottom Line: For optimal health, include both fish- and plant-based omega-3 sources in your diet. Myth #5: Athletes don't get osteoporosis. Fact: "Your sport may determine your risk for osteoporosis," says registered dietitian and certified personal trainer Cathy Leman, owner of NutriFit, a nutrition and fitness consulting company in the Chicago area. 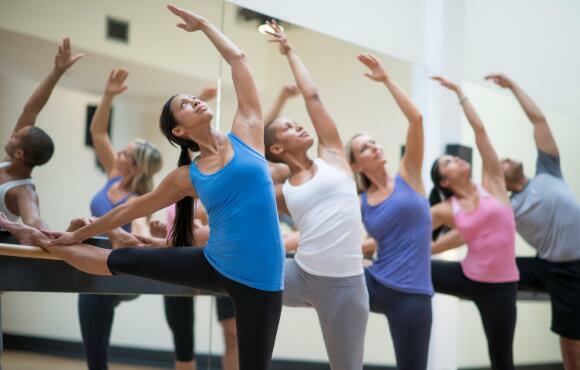 Osteopenia or low bone mass, which precedes osteoporosis, is fairly prevalent among women who participate in sports that place a significant emphasis on low body weight, such as gymnastics and dance, Leman says. When female athletes over-exercise and limit their calorie intake, they frequently lose their menstrual cycle. When these three things occur together—called the female athlete triad—women are at a high risk of developing osteoporosis, and calcium won't do any good, says registered dietitian Lisa Dorfman, certified specialist in sports dietetics. The triad has been reported to occur in 12 to 15 percent of elite athletes and at least 5 percent of normally active females. Although both running and strength training decrease the chance of osteoporosis, they won't protect against the disease if the triad occurs. Also, there are many nutrients beyond calcium important to bone health including vitamin D, vitamin K and magnesium. "Adequate diet, regular exercise and normal hormonal levels all work together to support healthy bones," Leman says. Bottom Line: It's all about balance. Avoid over-exercising, and eat a healthy diet with enough food and calories to fuel your body. Myth #6: If you're craving certain foods, it's because your body needs the nutrients they provide. Fact: If this were true, more people would be craving fruits and vegetables, your best source for many vitamins and minerals. Rather, women tend to crave sweets, says Kerry Neville, registered dietitian and spokesperson for the American Dietetic Association (ADA). Ask yourself what could be contributing to cravings. Consider biological signals like hunger and environmental cues such as smells and television commercials, suggests Malena Perdomo, an ADA registered dietitian. Many women experience more cravings around their menstrual cycles, a result of shifting or surging hormones. 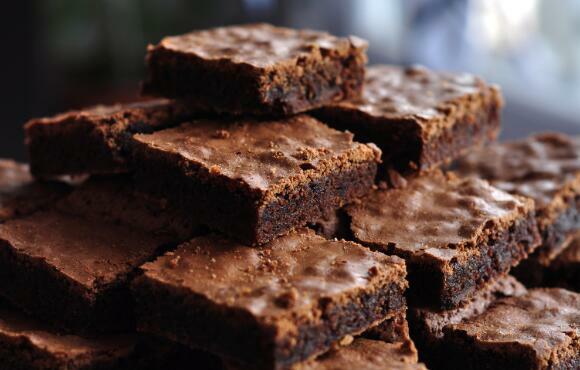 Craving something sinful? "Select something healthy first, and if you're still hungry for that piece of cake, then have a piece and move on," Perdomo says. Bottom Line: We have cravings for all kinds of reasons. If you focus on those good-for-you foods first, a little junk every now and then won't hurt. Myth #7: Dark breads are more nutritious than white breads. Fact: "You can't judge a bread by its color. You need to read the list of ingredients and look at the nutrition facts panel," Neville says. "Wheat bread isn't whole wheat bread." You have to dig a little more to discover just what your sandwich is made of. 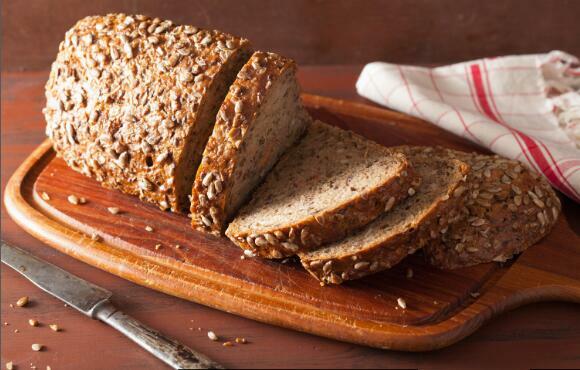 The first ingredient listed should be 100 percent whole wheat or other whole grain (such as barley or oats). "Enriched wheat flour" is the long way to say white flour. Sometimes darker breads will have caramel or other coloring added, so you're getting nothing more than a colored white bread. Bottom Line: Choose breads with the first ingredient listed as 100 percent whole wheat or other whole grain, such as barley or oats. Myth #8: Since herbs are natural, all herbal products are safe. Fact: "All-natural certainly does not mean all-safe," Anding warns. "Cocaine, opium and tobacco are all examples of plants that have serious side effects. In fact, many of our powerful drugs, like digitalis (a heart medicine), are plant derivatives." 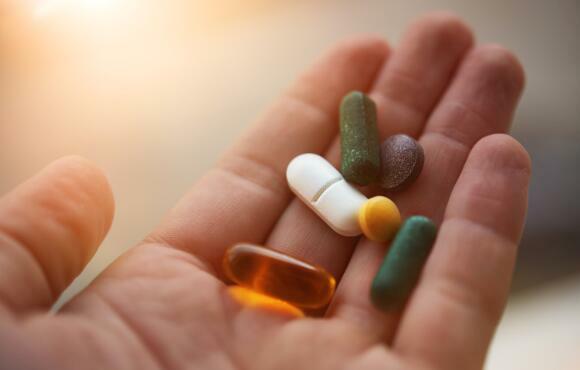 Because herbal and other dietary supplements are not regulated, different batches and different brands may have varying levels of purity and concentration. Without standardization, they may not be as safe as you think. And, they may not actually do anything to improve your health. Bottom Line: Before self-dosing with a supplement, seek medical advice. Myth #9: Water is all I need to rehydrate after exercise. Fact: If you sweat a lot during exercise, then you'll likely need extra sodium along with your fluids. Since sweat contains water, sodium and other electrolytes, rehydration requires more than water. Sports drinks provide small amounts of sodium—roughly 50 to 200 milligrams in 8 ounces—and are often critical during activities lasting an hour or more. But they will not suffice for recovery. Make some of your recovery foods salty like pretzels, crackers and soup. Sometimes even the saltshaker is a good idea. But don't take this as license to go overboard. If you're not training or competing, stick to lower-sodium choices most of the time. 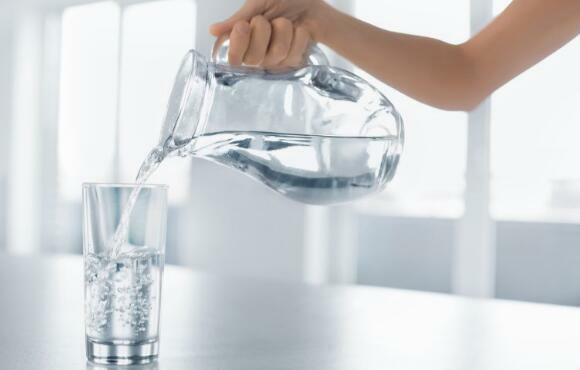 Bottom Line: Drink small amounts of a sports drink throughout a workout lasting longer than an hour, and consume salty foods and water afterward. Myth #10: I should drink eight glasses of water a day. Fact: There's no need to measure your water intake. Under usual conditions, let thirst be your guide, says the Institute of Medicine (IOM) of the National Academies. You can meet your water needs from plain water, flavored water, juices, milk, fruit and even cooked pasta and rice. And there's good news for all you coffee and tea lovers. Caffeinated beverages contribute to our water needs. According to the IOM, previous thoughts about the dehydrating effects of caffeine were overstated. The water in coffee and tea compensates for the caffeine. Hydration during endurance exercise is a different story. 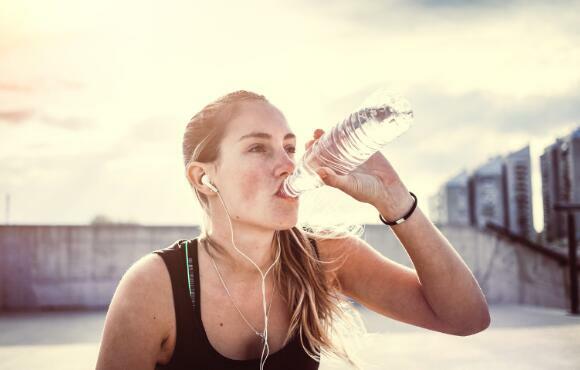 If you do not drink enough during exercise, you do risk dehydration. To gauge your hydration status and your fluid needs during exercise, weigh yourself before and after. Your post-exercise weight should not be more than a couple pounds lighter than your starting weight. If it is, you're not drinking enough appropriate fluids during activity. Bottom Line: All beverages and even food contribute to your fluid needs. Drink to your thirst except during intense exercise and after. Then you may need to drink according to a schedule.